Spliced 3-ply MagAnchor mooring line is made of polyprophylene, includes plastic thimble Easy to splice. Good elongation, abrasion resistance and perfect UV stability. Do not sink in water. Diameter: 12 mm, Length: 12 m. Breaking load: 2520 kg. Spliced 3-ply MagAnchor mooring line is made of polyprophylene, includes plastic thimble Easy to splice. Good elongation, abrasion resistance and perfect UV stability. Do not sink in water. Diameter: 14 mm, Length: 6 m. Breaking load: 3355 kg. Spliced 3-ply MagAnchor mooring line is made of polyprophylene, includes plastic thimble Easy to splice. Good elongation, abrasion resistance and perfect UV stability. Do not sink in water. Diameter: 16 mm, Length: 6 m. Breaking load: 4295 kg. Spliced 3-ply MagAnchor mooring line is made of polyprophylene, includes plastic thimble Easy to splice. Good elongation, abrasion resistance and perfect UV stability. Do not sink in water. Diameter: 16 mm, Length: 12 m. Breaking load: 4295 kg. Made of high-strength polyester double braid with hand-spliced eye. Diameter: 10 mm. Length: 6 m. Eye size: 20 cm. Made of high-strength polyester double braid with hand-spliced eye. Diameter: 12 mm. Length: 7 m. Eye size: 20 cm. Spliced DBR MagDock mooring line is made of polyester. 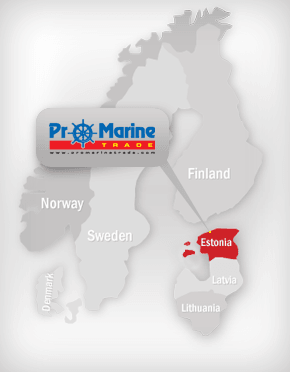 Is a perfect mooring and anchoring rope for yachts and for all kinds of water transports. Liftime flexibility, balanced elongation characteristics and good abrasion resistance, high break load. Diameter: 12 mm, Length: 6 m. Breaking load: 3050 kg. Spliced DBR MagDock mooring line is made of polyester. Is a perfect mooring and anchoring rope for yachts and for all kinds of water transports. Liftime flexibility, balanced elongation characteristics and good abrasion resistance, high break load. Diameter: 12 mm, Length: 12 m. Breaking load: 3050 kg. Spliced DBR MagDock mooring line is made of polyester. Is a perfect mooring and anchoring rope for yachts and for all kinds of water transports. Liftime flexibility, balanced elongation characteristics and good abrasion resistance, high break load. Diameter: 14 mm, Length: 8 m. Breaking load: 4010 kg. Spliced Cormoran mooring line is made of polyester. Is a perfect mooring rope for yachts. Diameter: 10 mm, Length: 6 m. Fitted with carabine hook. Spliced Cormoran mooring line is made of polyester. Is a perfect mooring rope for yachts. Diameter: 10 mm, Length: 10 m. Fitted with carabine hook. Spliced 3-ply MagAnchor anchor line is made of polyprophylene, includes plastic thimble Easy to splice. Good elongation, abrasion resistance and perfect UV stability. Do not sink in water. Diameter: 16 mm, Length: 40 m. Breaking load: 4295 kg. High quality and sturdy Dyneema rope with a diameter of 10 mm and with breaking strength of 2900 kg. 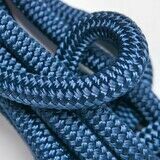 High quality and sturdy Dyneema rope with a diameter of 12 mm and with breaking strength of 5000 kg. High quality and sturdy polyester rope with a diameter of 6 mm and with breaking strength of 1010 kg. 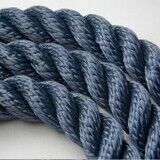 High quality and sturdy polyester rope with a diameter of 8 mm with breaking strength of 1515 kg. High quality and sturdy polyester rope with a diameter of 10 mm with breaking strength of 2412 kg. High quality and sturdy polyester rope with a diameter of 12 mm with breaking strength of 3155 kg. High quality and sturdy spun-polyester rope with a diameter of 6 mm and with breaking strength of 330 kg. High quality and sturdy spun-polyester rope with a diameter of 8 mm and with breaking strength of 880 kg. High quality and sturdy spun-polyester rope with a diameter of 10 mm and with breaking strength of 1140 kg. High quality and sturdy spun-polyester rope with a diameter of 12 mm and with breaking strength of 1560 kg. High quality and sturdy spun-polyester rope with a diameter of 14 mm and with breaking strength of 2346 kg.